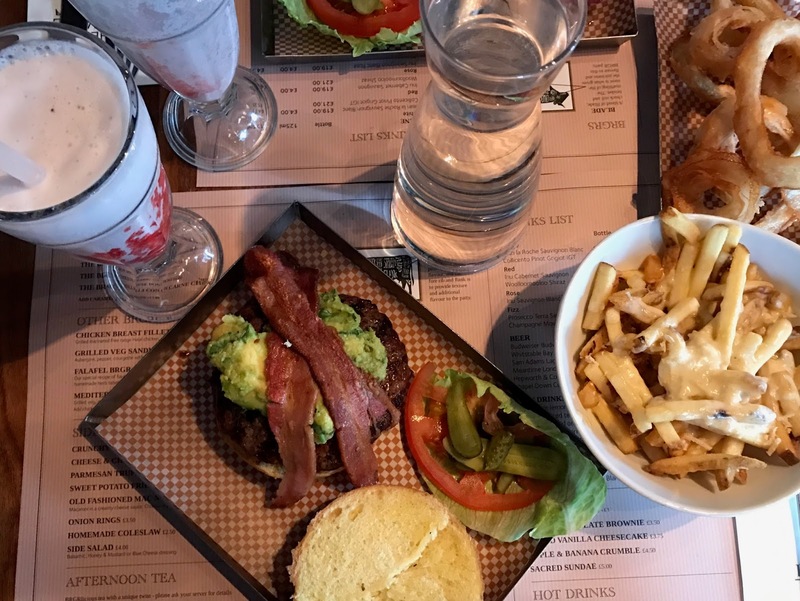 It’s Friday, and what better way to start the weekend than with some burgers, fries and a milkshake! 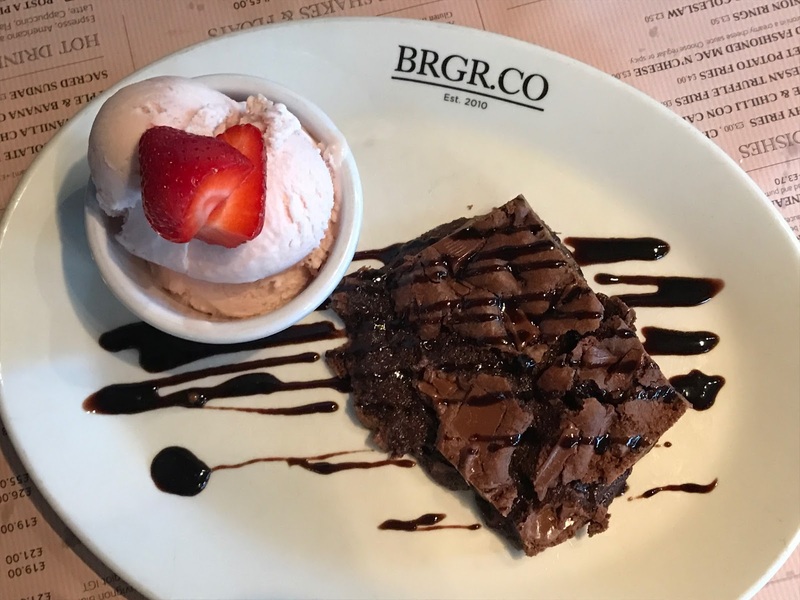 We went along to BRGR in Central London to try out their fantastic menu, and we were so excited that we had planned what we’d eat over a week before our visit! So as soon as we got in, it was straight down to business! Our fantastic waiter did still explain the concept of their burger menu, where you can choose from three cuts of meat. These are the blade – from the front of the cow, therefore a little fattier than the other cuts but still so juicy and tasty. 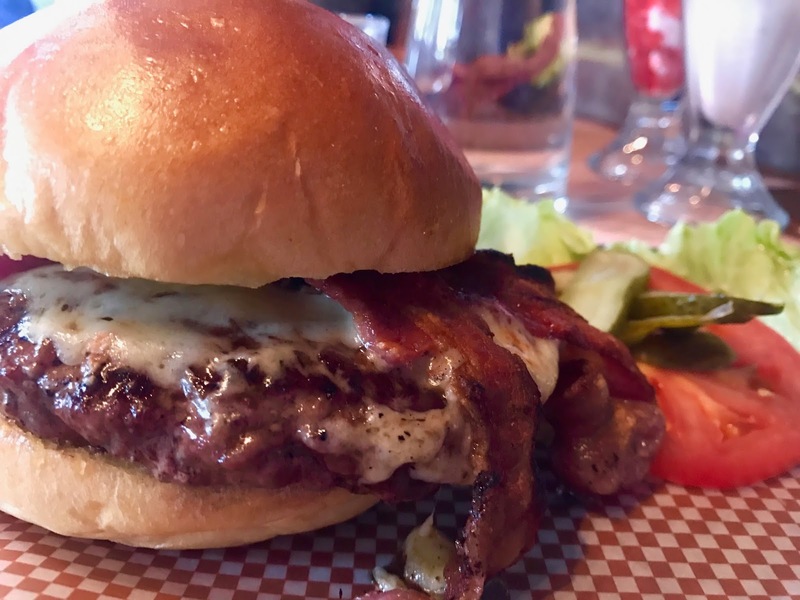 Then we have the hanger – from the middle of the stomach and their most popular burger, and then the rump burger – what we both chose and from the back of the stomach, where only a minimal amount of fat is found and the best quality meat out of the three. Once that was decided, we chose out toppings – bacon and guacamole for Jessica, and bacon and cheese for me. Their parmesan truffle fries, onion rings, and some strawberry milkshakes were all also stunning! The quality of our burgers was easy to see and taste, the meat was so succulent, thick and tasty. I always tend to have a problem with burgers, with the fact that most tend to fall to pieces in my heavy hands, but this one held together perfectly well, without the bread being hard in any way. Pretty much perfection! Jessica did say that maybe she would’ve preferred to have the hanger cut as it would’ve provided her with a bit more fat and juice however. Jessica’s combo of guacamole and bacon isn’t your everyday burger filling, and although it made it a tad salty, it’s definitely something we’ll have again and again if we get the opportunity! Of course you can’t go wrong with bacon and cheese, so needless to say that one was amazing! 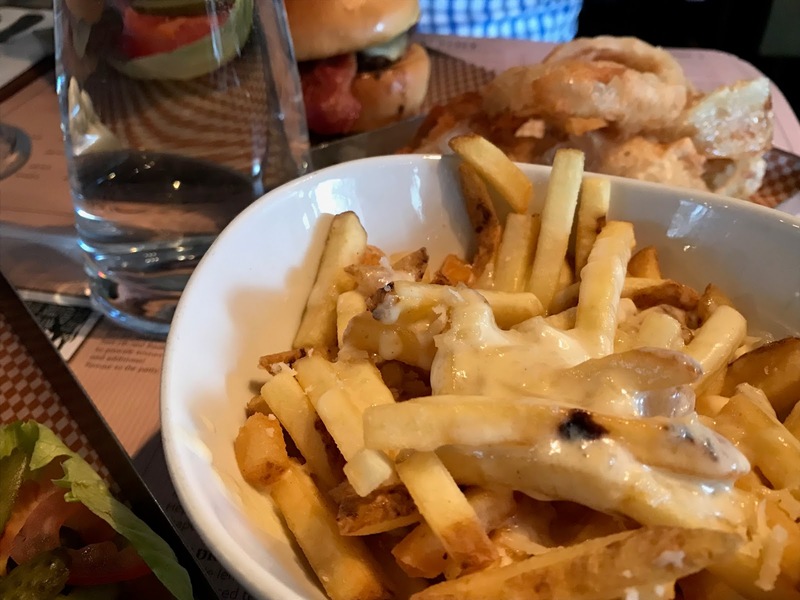 The sides of parmesan truffle fries were different to have for us, as we’d always normally go for the classic plain or cheesy fries. For us, they still can’t be beaten, but these were still so good! But nothing was going to let us stray from our favourite of onion rings – again ridiculously good! 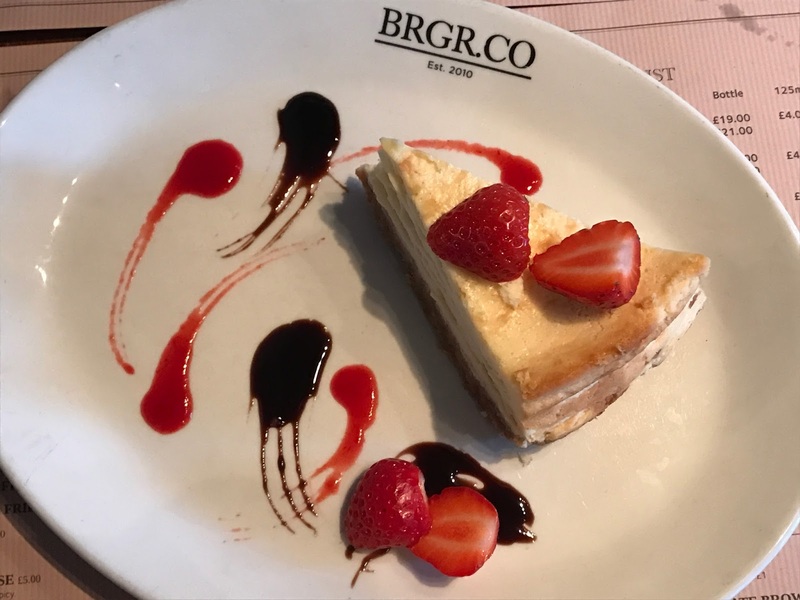 No matter how full we were, there is always room for dessert, and we couldn’t resist the menu! I, James always go for the chocolate item, and our waiter suggested the cheesecake for a lighter option to Jessica. The suggestion was a great one, and although we still couldn’t finish it, it was so tasty with the strawberries, and nice to have it baked as well. Overall we had a fantastic visit here, and although it’s a little pricey, we now have a new place to suggest when we’re meeting up with friends, as there is such a relaxed and friendly atmosphere, and you are guaranteed far superior food than most burger restaurants. They also have another branch on King’s Road, Chelsea, so we may well go there next! Thank you so much to BRGR for having us along! Disclaimer: we were invited to the restaurant to try their new menu in exchange for a review. But as always, all our opinions and photos are our own. Oh this place looks absolutely fab, made me hungry just eyeballing the milkshakes!! Making my stomach growl. That looks good. Burgers, fries and milkshakes? Sounds like my kind of weekend! Oh my godddd this looks AMAZING. That burger and the cheesy fries…. my perfect food! 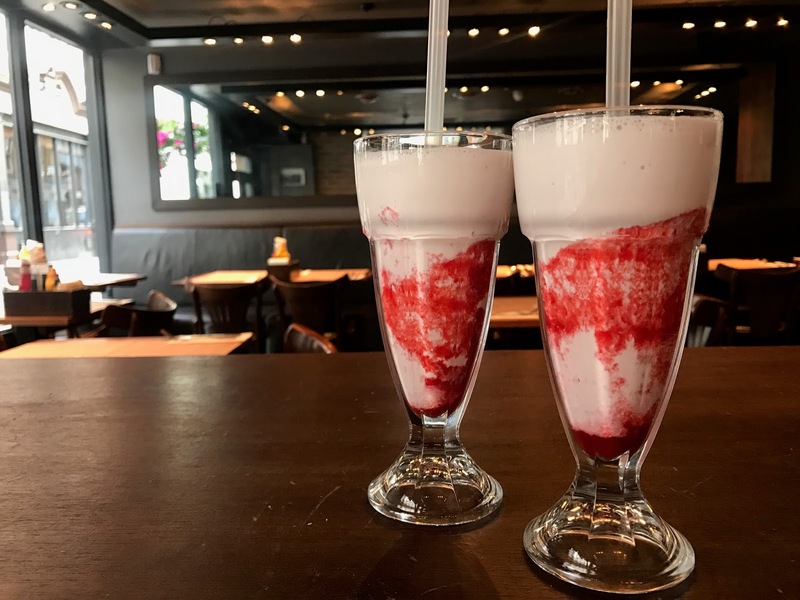 The milkshake looks great too, and the chocolate brownie… okay, everything looks good!! I've walked past this a few times but never thought to go in – that will change now I've seen this and truffle and Parmesan fries! !